In a little town in Italy, named Greccio, in the year 1223, St. Francis led an evening prayer service for the towns' people, and to make the event meaningful he decided to recreate, live, the nativity, the birth of Jesus. Prior to this event, the displaying of nativity scenes was unheard of. But for Francis, the importance of the nativity event was that it was a real event. Historically, in the town of Bethlehem, a child, later to be named Jesus by his parents, was born. Francis, believing that this child was the son of God born into our world wanted the people of Greccio to fully understand that our God is approachable and knows us for He was born as one of us. What better way to explain this concept than by actually reenacting the scene. The rest, as they say, is history. This Christmas, how can I make "real" in my life that which happened over 2,000 years ago? Every year, since I was a child, I watch the classic show "How the Grinch Stole Christmas". The original version brings back so many fond memories, and now as an adult I continue to enjoy it for the meaning of the story. The Grinch couldn't take away Christmas by taking away the people's "stuff". Christmas, for the Who's in Whoville, meant a lot more than what they had or didn't have. For them, Christmas was an internal existence. A deeper sense of what the season is all about. 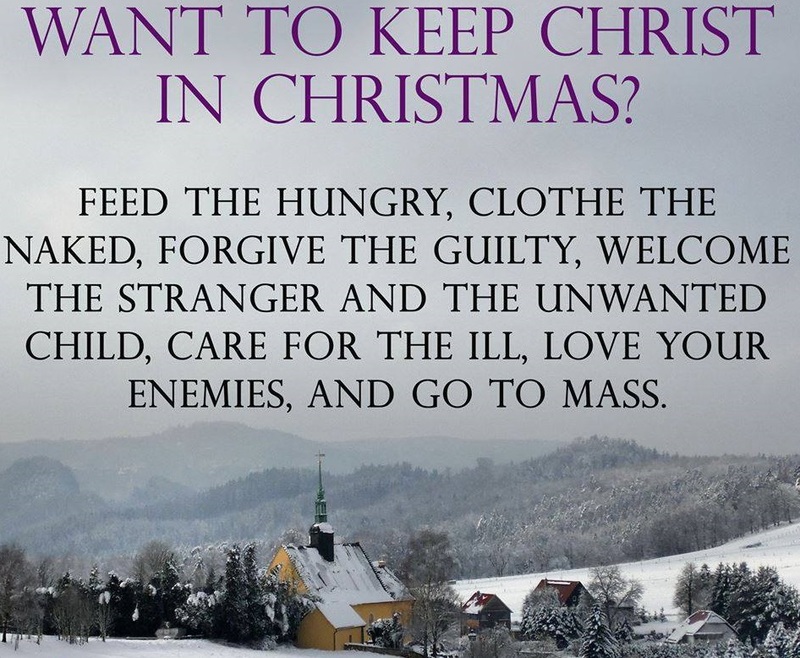 What is Christmas all about? Is it the birth of a child, the son of God, into the world? And if so, what does that mean for me today? The humble birth of Jesus is a sign of the love God has for us, and that love needs to be put into action in the love we have for others. In order for us to fully love another we first need to love and respect ourselves. As God becomes one of us He shows us the importance of us as humans. If God respects us than we also need to respect ourselves We were worthy enough for our Lord to become one of us, it is important for us to feel that worthiness within ourselves. When we love ourselves we are more fully able to love those around us, and that outpouring of love makes "real" the presence of God in our lives. So, what is this season all about? Loving ourselves and loving others so that the love of God may be present in our world. This is what St. Francis tried to show the people of Greccio. I hope Francis' message continues today in the nativity scenes we have set up. This Christmas season find ways to make Jesus real in the lives of others. If we all did this, gave the present of love to another, just think of how different our world be. Each day is a new opportunity for us. Let's take the magic of this season and make today a magical day of love. I wish you and your loved ones a very merry, blessed and peace-filled Christmas! !